KCM Consulting personnel are Risk Managment Experts. Risk Management is the process of identifying, analyzing and responding to factors throughout the lifecycle of a project while keeping in mind the best interests of the project objectives. The best risk management plans for possible future events and is proactive rather than reactive to circumstances and events. 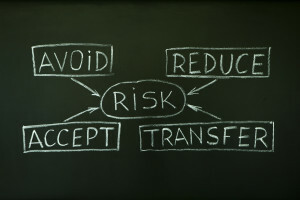 Project risk management helps avoid surprises and enables you to make informed decisions. Well-designed and implemented risk management provides organizations with the ability to navigate successfully through lean times and then leverage opportunities when they arise. Having a well thought out risk management program, that is tailored to your organization’s needs enables genuine confidence in delivering goals and achieving measurable results. Your organization’s senior management can move forward on plans for organizational growth or change as proper risk management strategies exist to help your organization adapt. KCM personnel are seasoned professionals with training as PMI Risk Management Professionals (PMI-RMP)® and relevant experience in your industry. We believe that risk management for projects require coordination with your organization’s values and other endeavors so that you can align goals with project delivery. Projects must be diligently monitored throughout the course of projects from start to finish. At KCM Consulting, we help our clients identify risks, quantify these risks and predict their impact on the project’s performance, delivery and success. We assist the client in developing a detailed risk register that they can use to continue to manage the project lifecycle. This will ensure that high priority risks are aggressively managed and that all risks are cost-effectively managed throughout the project. KCM has a depth of understanding of risk management from working with diverse clients across industries. We use this knowledge to help our clients by providing them with the most relevant, timely information required to make informed decisions on issues critical to the success of their projects. Avoidance or eliminating a specific threat, usually by eliminating the cause. Mitigation or reducing the expected monetary value of a risk event by reducing the probability of occurrence. Acceptance or accepting the consequences of the risk.We recommend our clients developing a contingency plan to execute should the risk event occur. In developing Contingency Plans, our Project Team engages in a problem-solving process. This process culminates in the creation of a plan that can be put in place on a moment’s notice. Successful completion of projects on time and budget requires the ability to circumvent or overcome obstacles and barriers. Developing contingency plans ensures that you can quickly deal with most problems as they arise. Armed in hand with a contingency plan, your management team can put this into effect when a problem arises. Being prepared enables your team to keep performing well without having to stop performance due to an obstacle arising. KCM has worked with many clients to identify the sources of risk that they face, including internal, external, regulatory, environmental and legal concerns. We have detailed checklists that we employ that we have developed from working on multiple projects across different industries. This enables us to assist our clients in uncovering the vast majority of all risks that their projects face. By identifying possible risks, reducing these risks and planning effectively for risks, you will be able to manage your projects better and enjoy a greater return on investment (ROI) for your company. "Trust in the Lord with all your heart and do not lean on your own understanding. In all your ways acknowledge Him, and He will make your paths straight." Guidance you need. Values you require.